Perhaps the best Shaw Brothers film not produced by the Shaw Brothers, this Chang Cheh ensemble piece comes towards the end of the great man’s illustrious filmography and features a roster of movie stars whose careers he helped to launch. Even this far into his career, he was still finding the time to launch new faces: in this instance, a young Andy Lau, who appears briefly as a hired fighter in rolled-up sleeves and sai swords. Following the closure of Shaw Brothers, Chang Cheh relocated to Taiwan for this revolutionary tale set in pre-war Shanghai. Consideration for the time period is flawed – the contemporary clothes, wallpaper and hairstyles are completely wrong for a film set in 1930s China – but the fight choreography is detailed and meticulously designed, with Chang Cheh relishing every blood-soaked, slow-motion death scene. Despite the premise, the baddies are not Japanese but Chinese; assassins and bureaucrats on the trail of a whistle-blower in possession of a document exposing dodgy dealings between local government and the Japanese. In order to guarantee the man’s safe passage out of Shanghai and into the safety of Hong Kong, the 13 Rascals of Shanghai are assigned to protect him. They consist of Chang Cheh’s favourite fighting talent. There’s One-Armed Swordsman Jimmy Wang Yu, who has a small cameo at the start of the film, and Venoms actors Chiang Sheng and Lu Feng. 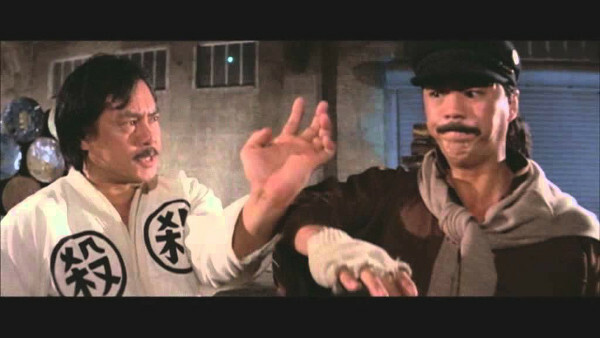 There’s also The Boxer from Shantung, Chen Kuan-tai, and double act David Chiang and Ti Lung from The Heroic Ones, Vengeance, The Blood Brothers and so on. Given such speedy exits and extended fight scenes, scant thought is given to assessing the greater significance of the character’s motives. What it does deliver, however, is essentially a greatest hits package in which a steady stream of fan favourites each receive their own sequence of brilliantly choreographed awesomeness. 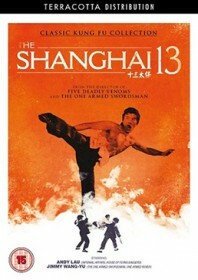 AKA: The Heroic Ones from Shanghai; The Shanghai Thirteen; The Shanghai 13. Shanghai 13 is available to buy on UK DVD from Terracotta Distribution as part of their Classic Kung Fu Collection.